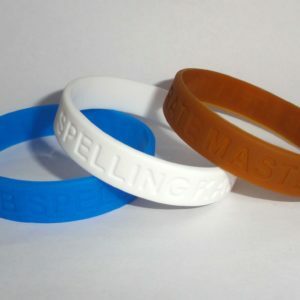 Embossed With Print wristbands are silicone bracelets with your message or logo actually raised and come out of the wristband. Another colour is added for the design. The nature of the design means your message or logo never fades, making the embossed with print wristbands an everlasting reminder of your message or company.